How to master your inner mean girl. It’s the riddle that plagues every woman on the planet: what IS the key to happiness? Like most, I have spent the better part of my life trying to answer that question. For every yoga mat collecting dust, or every juice diet that never gets finished, I grow more and more convinced that happiness is an unsolvable mystery, like split ends, or missing socks. After meeting Melissa Ambrosini, however, I have realised that happiness is not actually a riddle. It’s not an unsolvable mystery. Heck, it’s not even that hard! It’s about ditching all the fads and learning to really, really listen to what makes you happy…no juice cleanse required. Lifestyle guru, meditation master, and all-round goddess Melissa Ambrosini has recently released her latest book, ‘Mastering Your Mean Girl’, a dense 300 page guide to becoming “…wildly wealthy, fabulously healthy, and bursting with love.” Whether you are 16 or 60, this book has gathered together teachings that span health, spirituality, relationships, finance, and food, and packaged them up in bite-size pieces of advice that resonate with simplicity and practicality. After years spent in the notoriously judgemental dancing, modelling, and acting industries, Melissa had developed an unhealthy relationship with most aspects of her life: food, booze, partying, men. It took an extended hospital stay for her to realise it was time to start over. Look, I went in with a healthy amount of skepticism. But she won me over. This girl is divine! Like a magpie, Melissa started to collect tips from healers locally and abroad, rebuilding a safer, stronger nest that would carry her better than before. 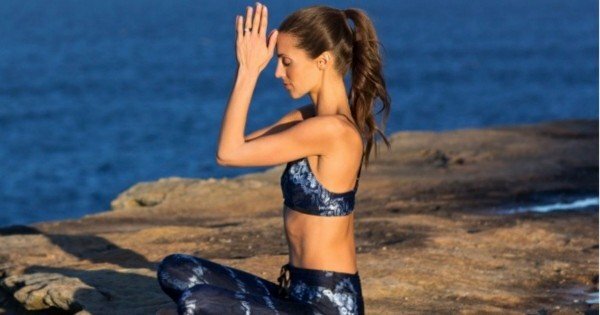 She stopped drinking, threw herself into meditation, yoga, and learning; and started a blog in which she shared her journey. The rest, as they say, was history. 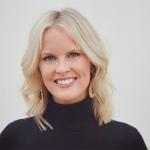 The blog grew to carry thousands of committed followers who couldn’t get enough of Melissa’s bubbly personality and down-to-earth advice. She became for many a demystifying force, a conduit to higher awareness, a translator that showed the ‘how to’ of a holistic lifestyle. Simply put, she made spiritual enlightenment look, well, kinda easy. If you only need one reason to read the book, let it be this: she unravels the mystery of meditation. SERIOUSLY. 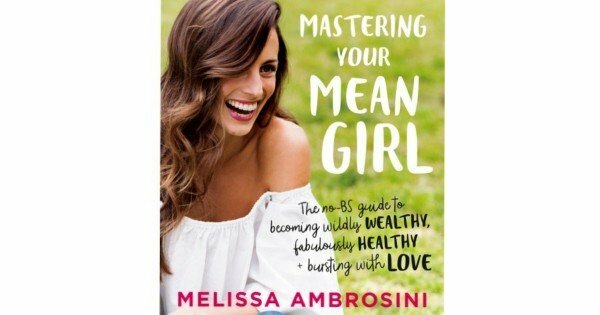 The book – ‘Mastering Your Mean Girl’ – followed, a modern-girl’s bible of ditching your inner ego, and instead passing the microphone to your true voice, your heart. (And if you’re wondering – no, Melissa’s ‘Mean Girl’ has nothing to do with the movie. Although my Mean Girl DOES sort of fit the Regina George profile…) The overriding message of the book, and our interview, was really simple: live your life with love, not fear. Yes, yes, I know. It sounds a little chitzy. But the best part about Melissa is her ability to turn those cliched phrases into something digestible. So what does ‘living with love’ really mean? “It’s like when you’re doing the dishes,” starts Melissa, in a simple ‘oranges and apples’ explanation. And just like that, you realise how easy it is to inject perspective into your everyday life. I guess for me, the possibility of anything. The idea that anything is possible. I love looking at my day like a blank canvas, and getting to paint whatever I want. The book that changed your life. 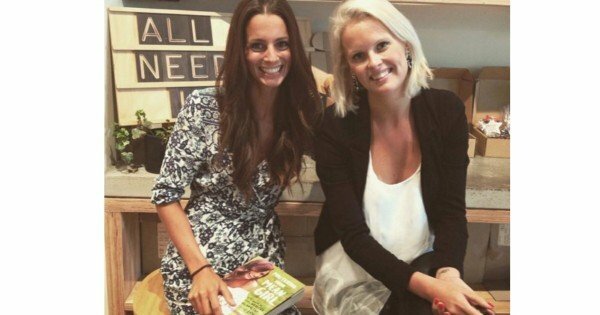 Louise Hays ‘You Can Heal Your Life’ – a good friend gave me the book when I was in hospital. I don’t watch a lot of TV, but I went and saw a coach a little while ago, just after Jess had passed away. She suggested that I start to watch some trashy TV to just come down from the stress – so we started watching ‘Entourage’. My husband and I love it! Define what feminism means to you. Feminism means fully and completely embodying who you truly are – unapologetically. Just showing up for the world as that. I feel like my mission in the world is to leave this place in better shape than I found it. If I can do that with the work that I’m doing in inspiring and helping women, then that’s awesome. It wasn’t always smooth sailing for Melissa, however. 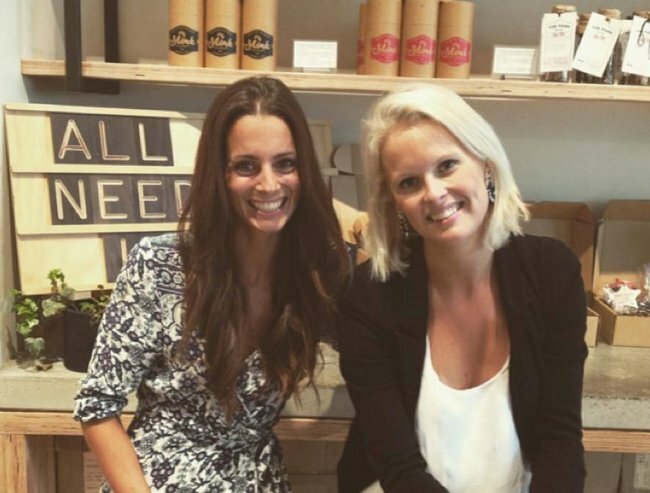 At just 28, she lost her best friend and fellow ‘wellness warrior’ Jess Ainscough. I asked Melissa if this was enough to rattle her stalwart belief in the holistic lifestyle she led. “I questioned everything. And asked myself big questions, such as what is the point of life and why are we here?” she responded. With the support of her husband, ex-Sneaky Sound System band member Nick Broadhurst, Melissa has maintained her commitment to a healthy and happy life. Her force is felt around Australia and abroad, her life-lessons-tied-with-a-pretty-bow style of teaching resonating with any woman who is seek something more. More love, more money, more happiness, more knowledge on what makes us tick. When I met Melissa, a friend of hers dropped in on our interview to grab a copy of her book to pass on to Oprah, who is here on tour. 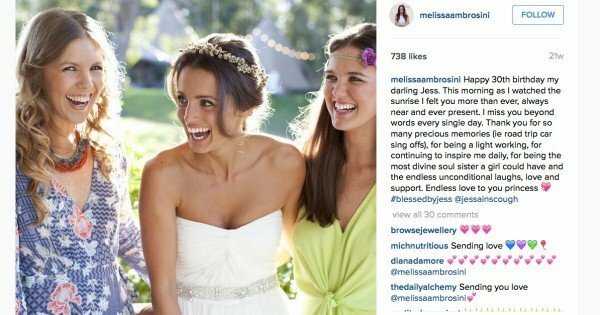 And that’s the kind of effect Melissa has: you just can’t wait to share her story and book with your favourite girlfriends, your family, your kids, and, well – yeah, Oprah.